The bank for Russian-born lobbyist Rinat Akhmetshin flagged hundreds of thousands of dollars in his account as suspicious in 2016 and 2017. BuzzFeed’s report focuses on Akhmetshin’s involvement in the Trump Tower meeting, while largely ignoring his connection to Fusion GPS, which commissioned the infamous Steele dossier on behalf of the Clinton campaign and DNC. BuzzFeed, which was the first news outlet to publish the dossier, mentions Fusion GPS only once in its report, on the 24th paragraph. The BuzzFeed report does not accuse Akhmetshin of wrongdoing, though the implication of the piece is that the payments to Akhmetshin are somehow linked to his visit to Trump Tower. The report does show that Akhmetshin received much more in wire payments and deposits from his lobbying client, the Russian businessman Denis Katsyv, than he reported on lobbying disclosure reports filed with Congress. Akhmetshin accompanied Russian attorney Natalia Veselnitskaya and several other associates to the meeting. 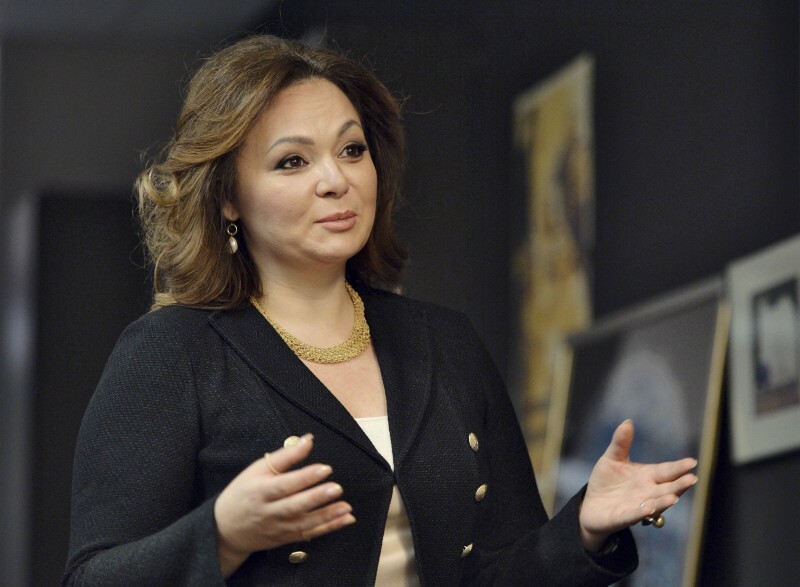 The meeting has drawn scrutiny because Trump Jr. accepted it after an associate said that a Russian lawyer — later identified as Veselnitskaya — sought to provide the campaign with dirt on former Secretary of State Hillary Clinton. “If it is what you say, I love it,” Trump Jr. wrote in an email accepting the offer. Most of the Trump Tower attendees, including Akhmetshin and Trump Jr., have testified that the meeting was a dud. They’ve all claimed that Veselnitskaya did not provide information on Clinton. Instead, she focused on the Magnitsky Act, a 2012 law that imposed sanctions on Russian human rights abusers. Akhmetshin, Veselnitskaya and Fusion GPS all worked as part of a multi-faceted campaign aimed at undermining the Magnitsky Act. Fusion’s main task was investigating Bill Browder, the London-based financier whose lobbying efforts led to the law’s passage. Browder claims that his former lawyer, Sergei Magnitsky, was killed in a Russian jail in 2009 while investigating a $230 million money laundering scheme involving a Russian organized crime syndicate. The ultimate client for Fusion, Akhmetshin and Veselnitskaya was Katsyv, whose firm, Prevezon Holdings, was sued by the Justice Department for allegedly laundering money stolen during the tax fraud scheme uncovered by Magnitsky. Some of Prevezon’s payments to Akhmetshin and Fusion GPS were routed through its U.S. law firm, BakerHostetler. That arrangement mirrored its work for the Clinton campaign and DNC. On that project, Perkins Coie, the law firm for the Democrats, paid Fusion GPS $1 million to investigate Donald Trump’s ties to Russia. BakerHostetler paid Fusion $523,651 in 2016. Fusion GPS’s work on a seemingly anti-Kremlin project (the dossier) and a project backed by Russians is one of the stranger twists of Russiagate. Despite the overlap in Fusion’s work, the firm’s founder, Glenn Simpson, has denied knowing about the Trump Tower meeting until it was reported in the press. That claim has drawn some skepticism because Simpson was with Veselnitskaya hours before the meeting for a court hearing in the Prevezon case. According to BuzzFeed, documents show that in the months before and after the Trump Tower meeting, Akhmetshin made $40,000 in cash deposits and received a wire transfer of $100,000 from Katsyv. BakerHostetler paid Akhmetshin another $97,400 over five months, according to BuzzFeed. Akhmetshin also received $52,000 from the Human Rights Accountability Global Initiative Foundation, a foundation financed by Katsyv that Akhmetshin used as his lobbying vehicle on Capitol Hill. BuzzFeed lists a series of other deposits that Wells Fargo found suspicious and reported to Treasury.